This conference is organized by Zofia Szweykowska-Kulinska, Artur Jarmolowski. Sciforum is not responsible for the content posted on this website. 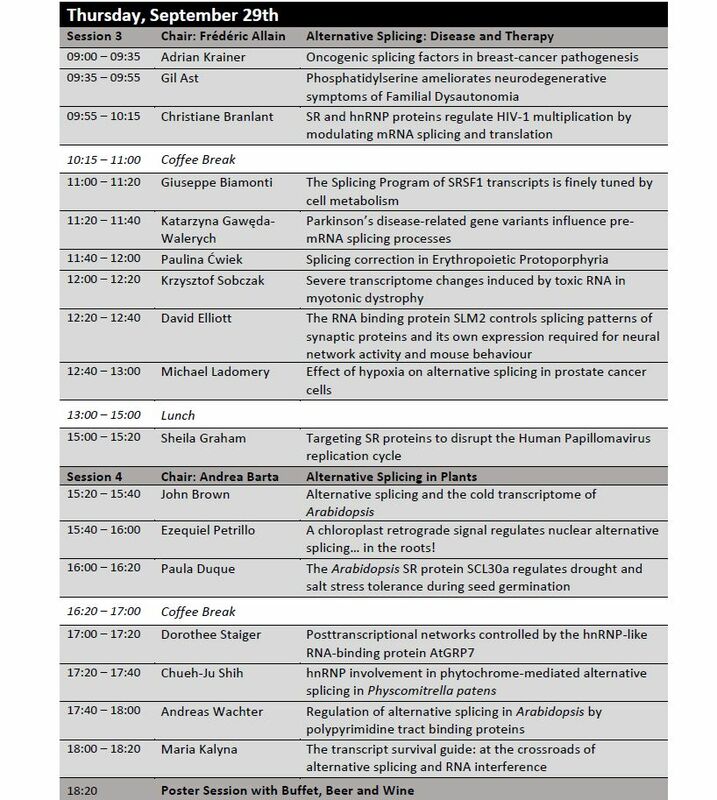 The meeting will be divided in several sections that will explore basic and complex splicing mechanisms and their regulation, the connections of this process with epigenetic, genome modifications, and non-coding RNAs, and finally the role played by this process in disease. 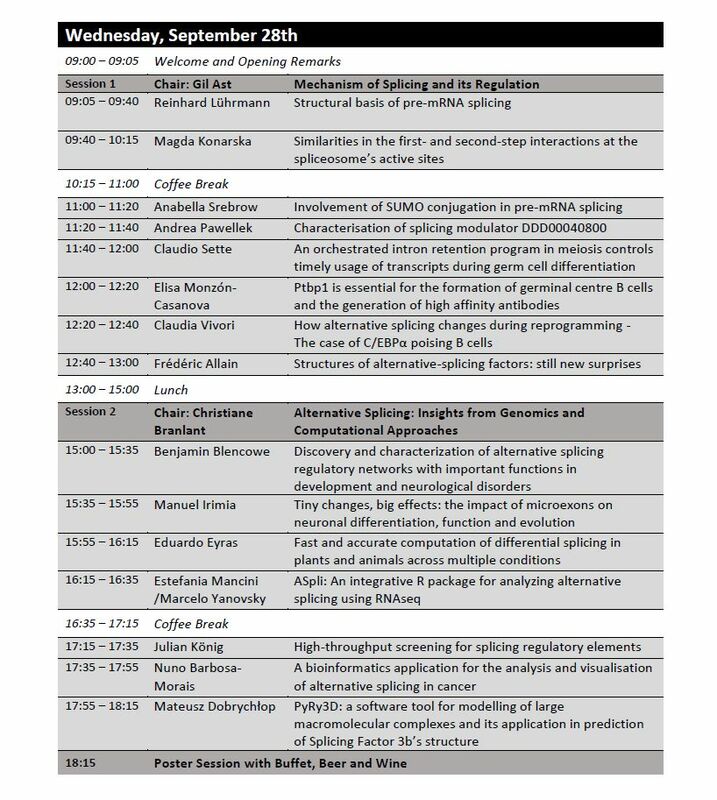 The conference aims to gather former EURASNET project members as well as non-EURASNET participants interested in the regulation and role of alternative splicing. EURASNET was the Alternative Splicing Network of Excellence funded by the Framework 6 Programme (FP6) of the European Union (2006 - 2010). The network aimed to explain the mechanisms of alternative splicing, established a communication platform among researchers, supported Young Investigators to establish new research groups, and raised awareness of the importance of alternative splicing among clinicians, policy makers and the general public. The first Post-EURASNET meeting was held in 2012 in Trieste, Italy and is organized consequently in every ~ 1.5 year. EURASNET was an EU-funded Network of Excellence to investigate and understand the principles of alternative splicing and how it affects human health. 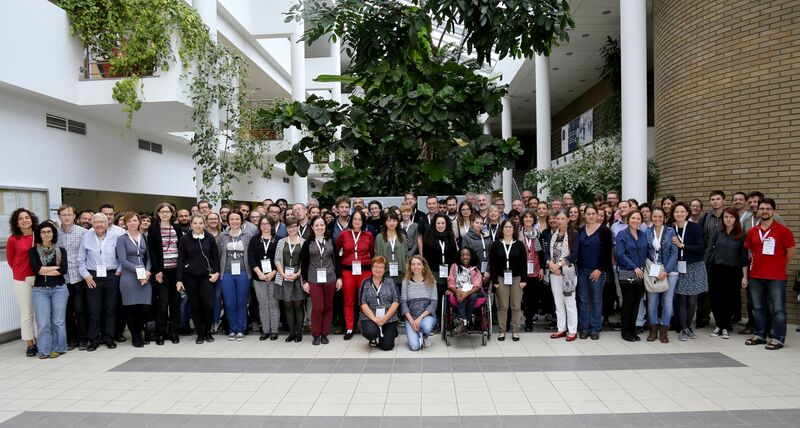 The Alternative Splicing Network of Excellence brought together 30 leading research groups and ten Young Investigators, from eleven European countries as well as Israel and Argentina. The co-ordinator of this Network was Professor Reinhard Lührmann, Göttingen. The network had funding for a period of five years (2006-2011) from Framework 6 Programme (FP6) of the European Union, for research in alternative splicing. The EURASNET consortium employed a wide range of complementary approaches such as computational, biochemical, proteomic, genomic, cell and organismal biology to study post-transcriptional gene regulation and its role in disease. Develop an integrated approach for the study of alternative splicing to elucidate the regulatory mechanisms and significance of alternative splicing, at the molecular, cellular and organismal level with a strong focus on alternative splicing events that are related to genetic disease. Establish an innovative and multi-disciplinary programme of joint research activities for the exchange of information, methods and material among the network partners. Spread excellence within Europe by establishing a career platform for ten ‘Young Investigators’. Raise awareness of the importance of alternative splicing among medical practitioners, policy makers and the general public. EURASNET was supported by a scientific advisory board made up of eminent international scientists: J. Dahlberg (University of Madison), W. Filipowicz (Biozentrum Basel), M. Garcia-Blanco (Duke University), A. Krainer (Cold Spring Harbor L), M. Rosbash (Brandeis University), R. Singer (Albert Einstein College) and J. Steitz (Yale University). The maximum size allocated for each poster is A0 (841 mm across by 1189 mm high). Be sure to use a type size and font that will be easily readable. Consider including contact information in case someone wishes to ask you questions about your work but is unable to connect with you at the poster sessions. All posters will be displayed in the Collegium Biologicum from the beginning till the end of the meeting (28. 09. 2016 – 30. 09 2016). Poster boards will be labeled with abstract numbers. Poster boards will be available from Wednesday, September 28th, till the end of the meeting. Locate the board with your abstract number and set up your poster. The maximum size allocated for each poster is A0 (841 mm across by 1189 mm high). Be sure to use a type size and font that will be easily readable. Poster pins will be provided. Do not move the boards or your abstract number. If you did not submit an abstract for your poster online but you want to present your work, place your poster in an unnumbered spot. They will be located at the end of the numbered poster board set (after the board with the biggest number). Unnumbered spots are on a first-come, first-served basis. All posters will be displayed on the three meeting days, between Wednesday, September 28th and Friday, September 30th. All posters must be removed by 1 pm on Friday, September 30th. Photographing, videotaping, or recording of any kind will be PROHIBITED of the posters unless a poster author is present and provides specific permission. Please be present during both poster sessions on Wednesday and Thursday. 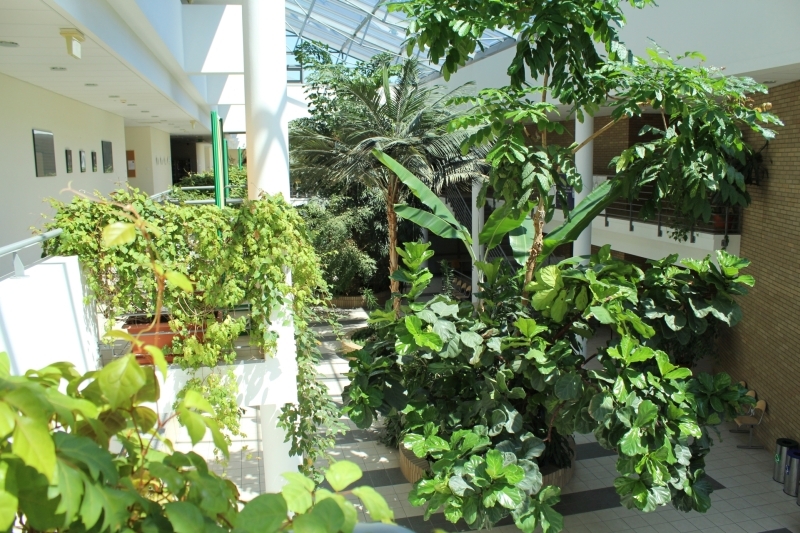 The 4th Post-EURASNET Meeting will be held in the Collegium Biologicum of Adam Mickiewicz University in Poznan, Poland. The price is 450.00 PLN/night 102.03 Euro, breakfast included when reservation is made for at least 3 nights. The guests are welcome to book a room via form at the Hotel web site, using a password: PostEurasnet. Underground parking, price 90.00 PLN/night/car 21.00 EUR/night/car. The guests are welcome to book a room by sending a request at the e-mail address: [email protected], using a password: PostEurasnet. Parking available at the Hotel, additional fee 50.00 PLN/night/car 11.70 EUR/night/car. The guests are welcome to book a room by sending a request at the e-mail address: [email protected] or by telephone: +48 61 851 68 41, using the password: PostEurasnet. No parking available, possibility to use a city parking in front of the Hotel (additional fee). Breakfast not included, paid 20.00 PLN 4.70 EUR. The guests are welcome to book a room by sending a request at the e-mail address: [email protected] or by telephone +48 505010335 or + 48 61 824 00 49, using the password: PostEurasnet. The guests are welcome to book a room by sending a request at the e-mail address: [email protected], using the password: PostEurasnet. Purpose - The grant will cover travel costs (full or partial) and/or local costs including accommodation for a total of three days. Selection committee will also consider gender balance. Please fill out this form and send it the e-mail below. Poznań is a city on the Warta river in the region Wielkopolska (Greater Poland). The city population is around 550,000, while the continuous conurbation with Poznań County, along with several other communities and students is around 1.1 million people. Poznań is among the oldest cities in Poland and was one of the most important centers in the early Polish state in the tenth and eleventh centuries. The first city center was Ostrów Tumski, the natural island on the Warta river. The first rulers of Poland were burried in cathedral located on the island. It also served as the capital for a short time in the 13th century, hence the official name: The Capital City of Poznań. Today Poznan is on the largest Polish centers of trade, industry, sports, education, technology, tourism and culture. 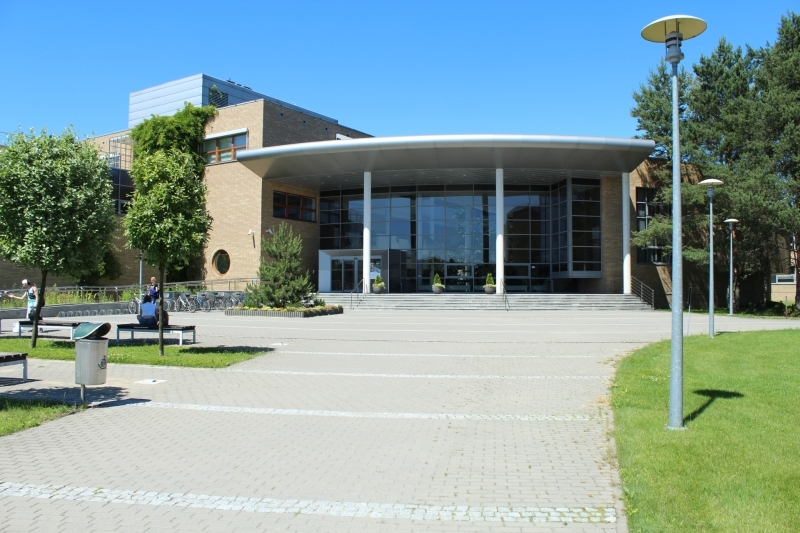 It is a particularly important academic center, with about 130,000 students and the third biggest Polish university - Adam Mickiewicz University. Poznań was one of the host cities for the association football tournament UEFA Euro 2012. The city also hosts a number of rowing world cup events by Malta lake (for example "ICF Canoe Sprint World Championships" in 1990, 2001, and again in 2010). Also, a great number of various international festivals takes place in the city - Transatlantyk  Poznań International Film and Music Festival, "Malta International Theater Festival", "ANIMATOR (festival)" and Maski Festival to name just a few. In addition, the International Henryk Wieniawski Violin Competition, the oldest violin competition in the world, is held in Poznań every five years. After arrival you can find a taxi just in front of the arrival hall. It is also possible to book a taxi from the hotels (not all hotels offer this service). You can also get into the Poznan city center by buses number 59, an express bus “L” (requires double fare) and a night bus 242. You can also flight directly to Berlin and use the minibus service (Mitex-Travel) that will transport you to your hotel. It will take 3 hours. It will cost: Berlin Schoenefeld 120 PLN (about 30 EUR/person), Berlin Tegel 140 PLN (about 35 EUR/person). We can assist you in booking the service! All trains coming to Poznan stop at Poznań Główny, the Poznan main railway station. This railway station is located in the city center, just next to the Poznan International Fair venue (Miedzynarodowe Targi Poznanskie). We will organize an information desk in the main hall of the station to help you to reach your hotel. A taxi from the railway station to any of the hotels from our list will not cost more than 25-50 PLN (about 10-12 EUR). The Jowita Dormitory is located near the station and you do not need to use a taxi to reach it! Next to the train station the city's main coach station is located which offers coach lines to major European cities. An international road, A2, provides direct travel to the European motorway network. You can find detail information about hotel parking in the Accommodation bookmark on our meeting website. Remember that our standard 20-minute talk includes discussion. Please leave 3 minutes for questions and comments from the audience! Our guest speakers have 30 minutes plus additional 5 minutes to discuss the results presented in the talk. 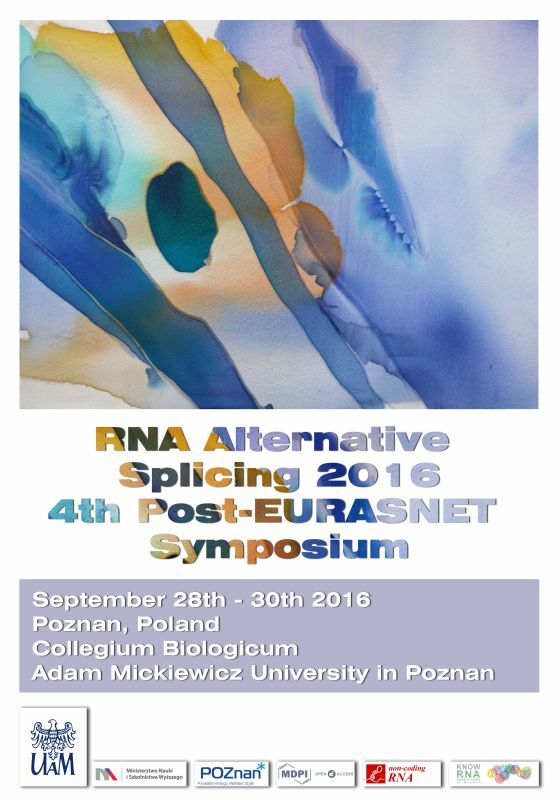 All information about posters can be found on our meeting website (https://sciforum.net/conference/PostEURASNET2016). The abstract book is also available at this address. The weather in Poland in September/October is unpredictable: It can be 20oC and sunny or 10oC and rainy. So, just in case, please take a cardigan and a coat with you! An umbrella can be also useful. We still have zloty as our currency. You can easily exchange money at the airport or later in the city (there is no problem to do it!). In almost all places in Poland you can use credit cards. Also in taxis but you should ask the driver if you can do it. Taxis are relatively cheap in Poland! Within the city you will not pay more then 40 - 50 zl (usually 20 - 25 zl). Institute of Bioorganic Chemistry at 8:00 am and Hotel Vivaldi at 8:15 am. 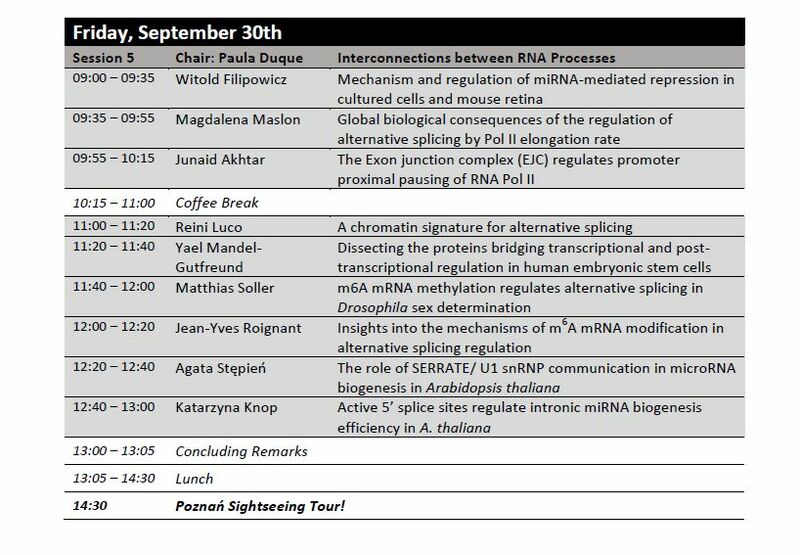 On Wednesday/Thursday the minibuses will wait for you at the front of Collegium Biologicum at 9 pm (after the poster session). On Friday the minibuses will leave at 2:00 pm, just after lunch. 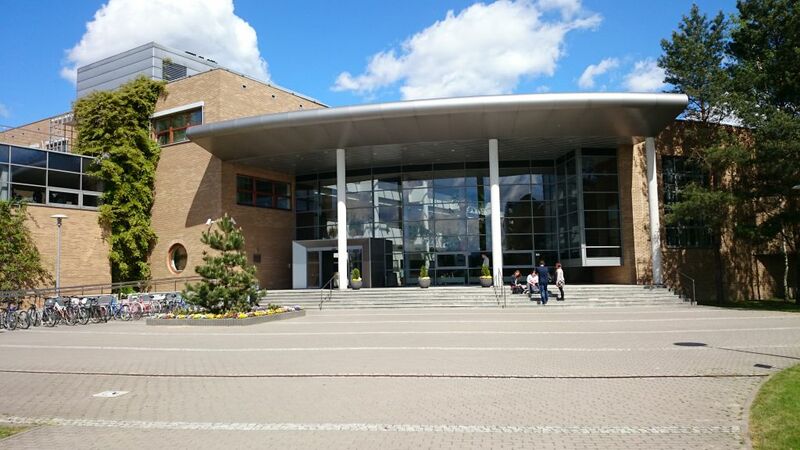 Info for people staying in the InterSport Sobieski Hotel: our PhD student Ania Wyrzykowska will meet you on Wednesday at 8:15 in the hotel lobby. This hotel is in walking distance from Collegium Biologicum. On Wednesday morning Ania will show you how to reach the meeting venue.